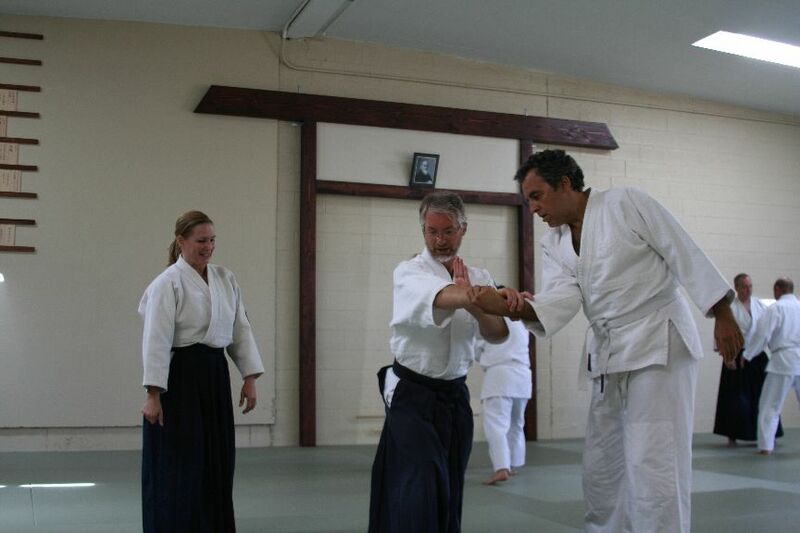 It is always nice to start off the weekend with a refreshing class of Aikido. It is easy to get caught up in our daily lives and the stresses and challenges that are put in front of us. Aikido provides us with that great balancing piece\peace. One of my teachers used to refer our practice to Misogi or cleansing our or spirit through training. I can really see that now that I have been doing it for a long time. My mind set after practice is much more clear and at peace than before. Yesterday I\we had another great opportunity to attend a special class with Mariquita Izawa Sensei from Tanshinjuku, Lafayette. 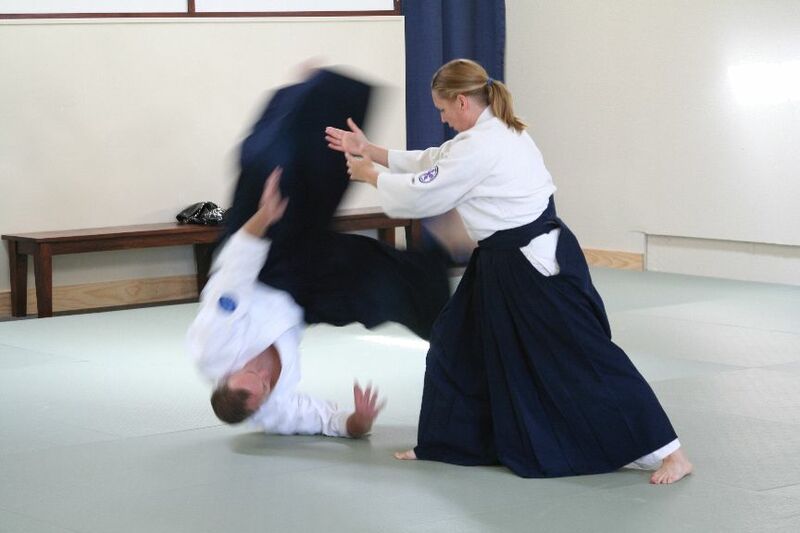 I have worked out with Mariquita Sensei many times over the past few years and have enjoyed her strength through refined movement and long practice. However, before yesterday I was not able to see her teach. 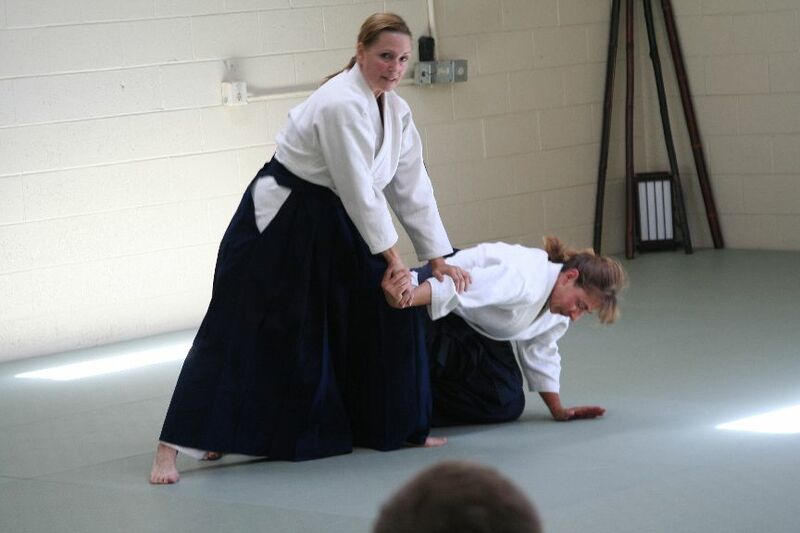 I was very excited to attend the class that she was teaching at Castle Rock Aikido Dojo. Mariquita Sensei started off sharing her ideas and experiences with Aikido. The big idea I really picked up on in the beginning was that we should not be focusing on our attacker. When we do that we immediately start to think about our preconceived ideas of how to react and can we or can’t we beat them. Instead we need to focus only on our movements in reacting to the attack. She demonstrated this with her fluid movements and as she is much smaller than her uke she still moved them with ease. I also got to feel her power and decisive movements and really felt how she was not moving me with her power/muscles, but with her center. Something that we all should aspire to which is to really focus on using less power and more center and body movements. With this she explained and demonstrated that this center movement comes from our foot work. She then explained and showed us suriashi (sliding foot movement) and we did line exercises with irimi and tenkan. Her teaching style was also refreshing. She started with very basic movements. Breaking down from our foot work to irimi and off balancing movements with our employing the throw. I know when I start teaching I usually start out with basic “techniques”, but don’t always break it down even further to the different pieces. The beginners really started picking up the broken down movements. After the students started to see the pieces and basic movements we started slow with some basic techniques. We then ended up with a little more advanced movements using all the lessons we worked on from the earlier classes. You could see the “light bulbs” on the students faces and that was great to see. I really learned a lot from this one class. For me it was nice to hear her ideas and mature Aikido experience in our short classes. Also, to see a nice approach to teaching and breaking down advanced movements into more manageable pieces for the newer students. All in all it was a great day and always good to sweat and learn from a great teacher. We all hope that we have more classes with her in the future. On a lighter note, with Mariquita Sensei’s accent the way she says “tenkan” is my favorite :). If you have time you should go train with Mariquita Izawa Sensei and Kei Izawa Sensei up in Lafayette Colorado at the Tanshinjuku facility. 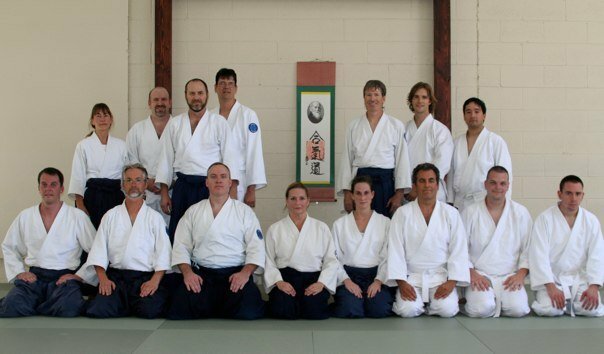 They are both great teachers and you can experience their experience and Aikido teaching for yourselves. I really appreciated Mariquita Izawa Sensei coming to teach, and it was great to learn from her. She’s a role model for me in practicing from centered power, not muscle, and her dedication and love of the art are inspiring. Her comments on working *with* our partners — at their levels — and while providing committed attacks and martial spirit were wonderful reminders. I also liked what she said about respect in Aikido, and how it extends from Sensei to deshi, from sempai to kohai, and on both sides of the relationship. She also shared that in her time training at Hombu, they talked very little. Students were expected to observe so that they could steal techniques. This is so important, and it’s something I’m working on. Many times during the too-short, two-hour class, I had new insights and ah-ha moments. My only “complaint” is that we only had two hours with Mariquita Izawa Sensei. I would love more!